What They’ve Done So Far: USC opened its season with one if its toughest non-conference games, a road trip to Logan to face Utah State. 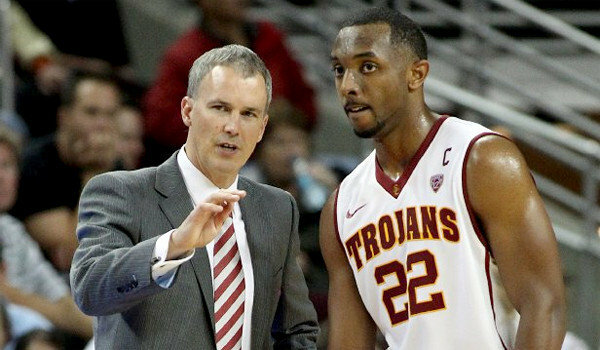 Things didn’t go in head coach Andy Enfield‘s debut as the Aggies blitzed the Trojans from the start and got the 78-65 win. 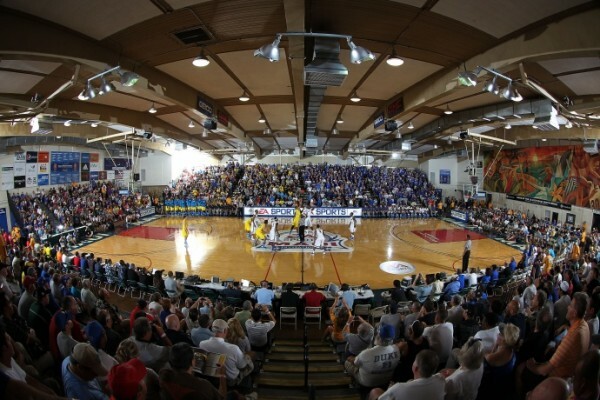 Since then, however, USC has won four in a row, including a 14-point victory against regional rival Cal State Fullerton. Junior guard Byron Wesley has shined the brightest in Enfield’s up-tempo offense, averaging 19.8 PPG and grabbing a cool 8.8 RPG. 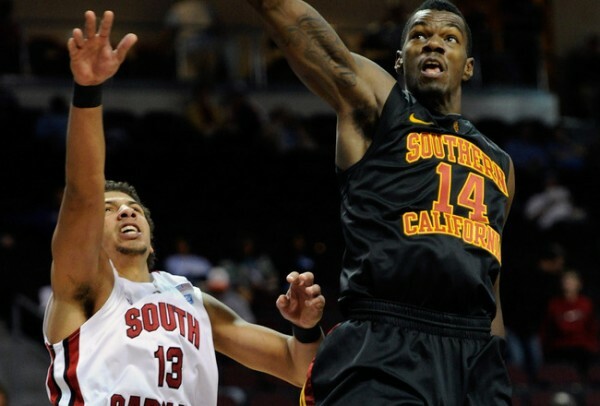 First Round Preview: USC meets 4-0 Villanova in the first round Thursday morning. The Wildcats have not had an opportunity to get a signature win, but they did dispatch a good Towson squad, 78-44. Five days later, however, they struggled to pull away from a mediocre Delaware team and barely held on for a four-point win. They are led by junior forward JayVaughn Pinkston, who is averaging over 20 PPG. For the Cats to escape the tournament opener, defending the endless list of USC bigs will be key. If they are able to limit their looks inside, Nova should definitely win this one. Drew Murawa is an RTC correspondent. He filed this report from tonight’s Minnesota-USC game in Los Angeles. Golden Gophers For Real. Balanced scoring, superb athleticism up front, talented and savvy guards, depth and great coaching. Yup, that’s a pretty good recipe for a Top 25 team. Eight players saw seven minutes or more for Smith and seven of those guys scored at least six points. In the early moments of the game, it was clear that one of these teams was ready to go from the opening tip and one was not — Minnesota looked crisp, moving the ball around quickly and getting enough open looks to send USC looking for cover in a 2-3 zone. As it is now, Minnesota has a 10-1 record with wins over Memphis, Stanford, Florida State, and USC, and a loss to #1 Duke the only blemish. We knew teams like Indiana, Michigan, Michigan State and Ohio State were going to be a load, but coupled with Illinois’ big win at Gonzaga on Saturday, it looks like we can throw another pair on the Big Ten pile. Working Things Out. We’re a month into the season and Kevin O’Neill has no idea what he has here. His rotation seems to be little more than subbing guys in and out based on a whim. Eleven guys played in the first half, and while O’Neill tightened up his rotation to great effect in the second half, it just isn’t feasible to generate a brand new rotation every night out. Guys need to know their roles in order to give the coaching staff what they want. Start with the players you absolutely need to have on the floor (e.g., Byron Wesley, Jio Fontan, and Omar Oraby) and build an eight or nine-man rotation from there. There is enough talent here for the Trojans to make some noise in conference play, but O’Neill’s got to cobble together some type of coherent plan for that to happen. He certainly knows that, as he discussed after the game trimming his rotation based on effort. Throughout the preseason, the Pac-12 microsite will be rolling out these featured breakdowns of each of the 12 league schools. Today’s release is the USC Trojans. Strengths: Fresh blood. You know the old legend about Keith Richards getting a complete change of blood in order to beat a heroin addiction prior to the Rolling Stones 1973 European tour? Well, if you’ll indulge a tortured analogy for a second: If Keith Richards is the USC basketball team, and his heroin addiction is SC’s 1-17 finish in a historically bad Pac-12, that blood transfusion is USC’s almost completely remade roster. With transfers, freshmen and players returning from seasons lost to injury, head coach Kevin O’Neill will likely only run a player or two out there who was around and active at the end of 2011-12. Instead Jio Fontan, J.T. Terrell, Eric Wise, DeWayne Dedmon, Aaron Fuller, Ari Stewart, Renaldo Woolridge and others will give the Trojans a chance to start anew, and with certainly a larger collection of offensive talent than has ever been assembled in the O’Neill era in Los Angeles. To reference the apocryphal story even further, it should be noted that even if Richards did undergo such a transfusion, it wasn’t his last run-in with addiction. But, nevertheless, that ’73 Stones tour was an undeniable success. And this Trojan team is capable of going from one with no expectations a year ago to one who could get some serious satisfaction this season, so long as that relapse can be withheld until after the tour. Weaknesses: While the Trojans have been strong defensively in each of O’Neill’s three years as head coach, they’ve been a plodding mess on offense, ranking no better than #93 in the nation in offensive efficiency (as always, per KenPom.com) before dipping to a putrid #326 last year. While he’s got tons of new pieces that could fit perfectly into his team’s jigsaw puzzle, KO’s got to prove that he can get it done with plenty of guys on this squad who have a history of bombing their way to unacceptably low field goal percentages (Fontan’s never even approached a 50% eFG rate, while Terrell, Stewart, Wise and Woolridge all had similar struggles at their previous stops). A newer concern for O’Neill is that, with the departure of last year’s point guard Maurice Jones, there is no margin for error at the point guard position for Fontan. If, god forbid, his surgically repaired knee causes him to miss any time again, the Trojans could be playing with fire. The best thing about October isn’t watching football or the MLB playoffs; no, it’s all about analyzing college basketball non-conference schedules. Where are the potential RPI boosts? Trap games? Guarantee ones? So many possibilities for those ’12 or ’13 tilts! 1. USC vs. Illinois (November 19) – Talk about the ultimate RPI-boost game. Illinois is the Trojans’ first-round opponent of the Maui Invitational, which means a certain D-II team will be lurking in the consolation bracket. 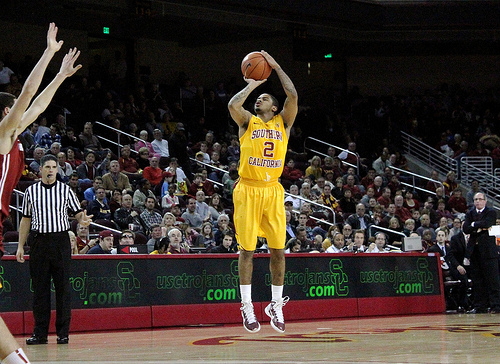 If the Trojans beat the Illini, they get to play Texas, another high-quality RPI opponent. 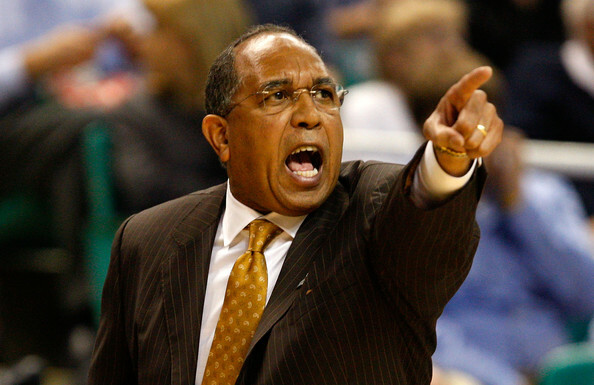 If the Trojans lose… that’s right, Chaminade is up next (assuming Texas doesn’t Oklahoma 2010-11 it). In case you were wondering, the Silverswords are not a high-quality RPI opponent. Neither the Trojans nor the Illini are coming off storybook seasons (USC went 1-17 in an extremely down Pac-12, while Illinois absolutely imploded, finishing the season 2-12 after a 15-3 start), but a little early-season karma can do a body of work good. And, we’ll get a chance to see just how much difference USC’s new faces (like Ari Stewart, J.T. Terrell and Eric Wise) and newly healthy returnees (with senior point guard Jio Fontan exhibit A) can make. As we go to wind down our coverage of the USC basketball program, we head back to Adam Butler of Pachoops for the second straight week for his perspective on the Trojan basketball program. Like me, Adam is pretty optimistic about the Trojans’ chances of a major bounce-back this season, although if anything he’s even hotter on SC than I am. Here’s our brief conversation on the immediate future for this new-look club. RTC: My god, the Trojans were bad last year. But was there anything that happened that could bode well for the future for this team? AB: The season ended. That was the best possible thing that could’ve happened to that team. That and time to pass as injuries healed and redshirts expired allowing this roster to almost completely re-emerge as one of the most intriguing teams in the conference. I mean, six win teams really have only one place to go. RTC: Four different players suffered season-ending injuries last season. Three of them – Jio Fontan, Aaron Fuller and Dewayne Dedmon – return this year. Of those three, who is most important to USC’s success this season? AB: I’m a big Jio Fontan fan, particularly on a Kevin O’Neill team. Fontan is a dynamic ball handler and all of that ball control offense that KO runs lends itself to needing a solid point. Look at what Maurice Jones was asked to do last season. Fontan is going to do that but at a higher level. I’m tempted to call him a darkhorse POY candidate and won’t be surprised to at least see him on the conference First Team. But of course any time you can run out a seven-foot athlete, it’s hard not to pay some attention to him. Dewayne Dedmon is probably the game changer for this team – as quality bigs tend to be. The combination of sound PG play and an improved Dedmon is going to make a trip to LA not a lot of fun. RTC: Along with the players the Trojans get back from injury, they welcome four Division I transfers: J.T. Terrell and Ari Stewart from Wake Forest, Eric Wise from UC Irvine and Renaldo Woolridge from Tennessee. How good is that group of transfers and which of those four will play the biggest role for USC? 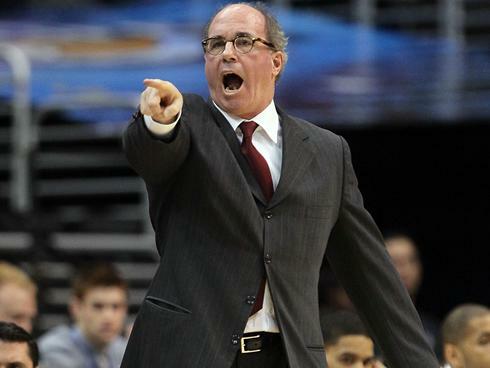 Kevin O’Neill took over the USC program in the wake of Tim Floyd’s abrupt resignation in June 2009.The instability within the program caused USC to lose much of its 2009 recruiting class, but O’Neill helped that team – playing without the hope of a postseason berth due to fallout from the Floyd era – keep it’s head above water, finishing with a 16-14 record. The following season, the Trojans were able to sneak into the NCAA Tournament, claiming a spot in the initial First Four, but last season the team was torn apart by injuries and recorded a program-worst 6-26 record. This year reinforcements arrive and folks around the USC program think they could be due for a big bounce-back season. As part of our week-long look at the Trojan basketball program, we had a chance last week to talk to O’Neill as he looks forward to 2012-13. Andrew Murawa: Obviously last year was one of those Murphy’s Law kind of years. Despite all of the bad luck and losses, are you able to find any silver lining in an otherwise bad year? Kevin O’Neill: You know, once Jio (Fontan) got hurt in Brazil it all sort of fell apart. You kind of have to go back a couple of years. When we took over the program, there were no freshmen or sophomores – we lost two classes completely and we were able to piece it together with six guys per year for the first two years. And we knew we had to avoid injury for the third year. And then everyone got hurt. And once everybody got hurt, we didn’t have enough talent or enough players or enough depth. We had played without depth for two years and had been fortunate to avoid injuries, but it just caught up with up with us last year. But, it will make us appreciate this year a whole lot more. AM: You did get some guys plenty of experience last year. Maurice Jones, for one, was forced into a pretty extreme role last year, playing a ton of minutes, having the ball in his hands a lot and probably taking more shots than he ever expected to take in his college career. With all the firepower you are getting back this year, is he looking forward to getting back to more of a normal role? Coupled with the three players that the Trojans get back from season-ending injuries last season, Kevin O’Neill welcomes in four newly-eligible Division I transfers, two scholarship freshmen, and a walk-on freshman. This means that the USC team that finished off last season with an opening-round Pac-12 tourney loss to UCLA will bear almost no resemblance to the team that tips off the 2012-13 season in November. Below, we’ll introduce you to each of those seven newcomers, roughly in the order of impact that they’ll have on their new team. J.T. Terrell, Junior, Guard, 6’3” 185 lbs, Wake Forest – Terrell played his freshman season as Wake Forest, scoring 11.1 points per game and finishing second on the team in scoring. But, two months before his sophomore season was to begin, he got busted for a DWI and decided to leave the school. He attended Peninsula College in Washington last season and averaged 24.4 points per game on his way towards earning the rating of the best junior college player in America (according to Swannys Roundball Review). In his single season with the Demon Deacons, Terrell showed a great fondness for shooting the ball, taking nearly 30% of his team’s field goal attempts while he was on the floor, but hitting only 38.8% of those. He showed improvement last season at the JuCo level, making 48% of his attempts from the field, but with this Trojan team featuring plenty of capable scorers, Terrell needs to show that he can be an effective offensive player even when not getting all the looks he wants.